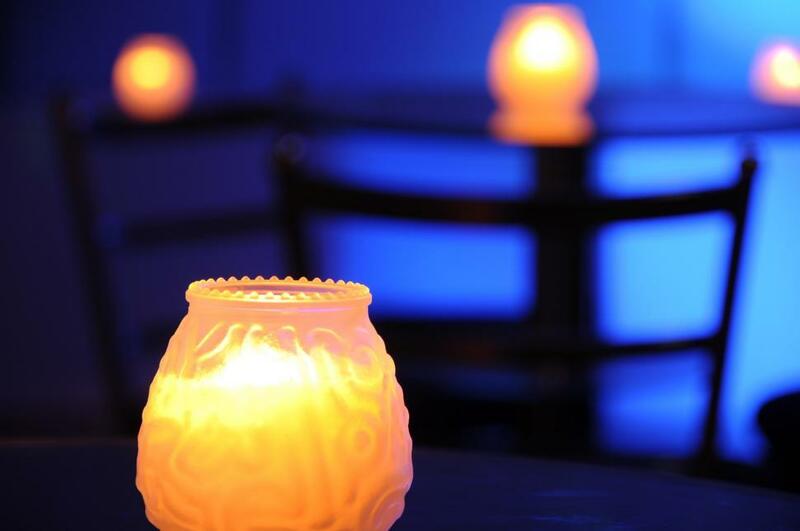 A candle holder puts off an orange glow as a flame flickers inside. The silhouette of chair backs and the blurry glow of other candles makes up the background contrasting with blue light. Lovely, nice contrast of colour. Lovely image - perfect for marketing for healing center. Wonderful image and love the blue background. Thank you!